Cosmetic dentistry deals with improving the aesthetics of the teeth and gums. A cosmetic dentist is dedicated to performing procedures such as teeth whitening, removal of plaque and tartar, installing veneers, crowns and bridges, reshaping the teeth which have undergone any damage due to external trauma, restoring the gums to their original shape, etc. These are some of the cosmetic dental procedures that we offer, which are coupled with state of the art facilities and highly trained dentists. 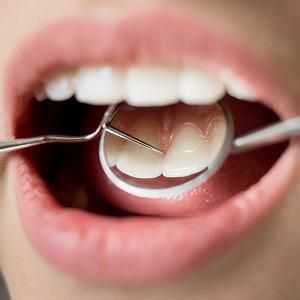 What are tooth-colored fillings and how do they improve your smile? Tooth-colored fillings or white fillings are usually made up of composites. They can be made to closely match the color of the tooth, making them virtually undetectable. They can be used to fill cavities and repair cracks and fractures as well. 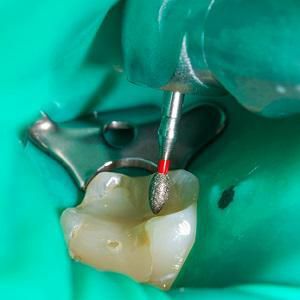 When a cavity is being filled, first, the decay has to be removed and the tooth has to be disinfected. The dentist may also apply some medication on to the cavity, which helps prevent further infections. The filling will be applied and then, shaped according to the contour of the tooth. They are pretty durable and long-lasting. Making them match the color and texture of the enamel gives them an added advantage over their alternatives, such as metal fillings. Crowns and Bridges are restorative dental appliances which are used to improve both the functionality and aesthetics of teeth. Crowns are cap-like structures which cover a tooth entirely. They are mainly used to hold a damaged tooth intact and to improve its appearance. A bridge is used to bridge the gap between two teeth, just as the name suggests. It is essentially an artificial tooth which is used to replace a missing natural tooth. What are the conditions to opt for crowns? When your tooth has cracked due to external trauma, a dental cap (crown) can be used to hold it intact and prevent the crack from becoming bigger. 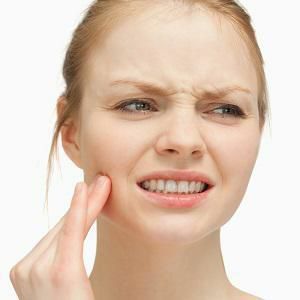 Dental fillings may crack after a few years, making them hard to repair or replace. In such cases, a crown can be used to hold the filling intact. A tooth which has been badly discolored due to staining can be made to look whiter when a crown is placed on it. Teeth which have undergone root canal treatment will be hollowed out, which makes them weak after the treatment. There are more chances for the teeth to crumble. A crown helps support such teeth. Dental bridges solve the problem of missing teeth, and thereby help a person sport a confident smile. They prevent the adjoining teeth from drifting, i.e. getting displaced from their position in the jawbone. They help in biting and chewing food. Also, they help improve the phonetics. They prevent further tooth loss. Dental implants are artificial teeth which are used to replace natural ones. They are a combination of a metal post and an artificial tooth crown. 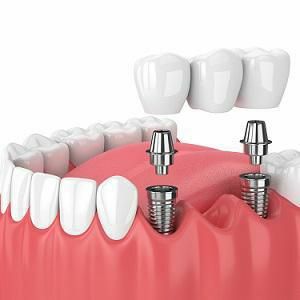 Most dentists would agree to the fact that dental implants are the best solution to replace missing teeth as they are strong and long-lasting. An implant consists of a metal stud/post, which is usually made up of titanium. It has grooves on its surface, just like a screw. The metal post goes into a hole which will be drilled into the jawbone. The visible tooth-like crown will either be made from porcelain or composite, with porcelain being the most commonly used material. The crown will be attached to the metal post with the help of an abutment and adhesives, such as dental cement. Dental implants are very strong. Biting, tearing and chewing food can be done without any problem. Thereby, they restore the functionality of the mouth. They are durable and do not wear easily. They are long-lasting. Dentists say that with proper care, implants would last several years. A missing tooth would leave a gap between the teeth, thereby allowing the remaining teeth to drift from their positions. Getting an implant would fill the gap, and thus, prevents the teeth from drifting. Getting implants would prevent the remaining teeth from loosening from their sockets in the jawbone. This would prevent further tooth loss. Implants can act as a support to dentures, as they help hold them in position. They're used to replace the missing tooth without affecting the adjacent teeth. In fact, they strengthen them. They help resolve any pain in the jaws, which would be caused due to missing teeth. They prevent the sagging of the tissues in the mouth (gums) and enhance the facial tissues. Most importantly, they help give the patient a confident smile.